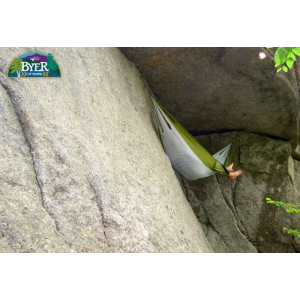 An economical hammock setup for those not willing to spend a fortune on a hammock. 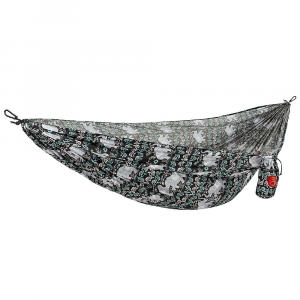 Tough material and a well made mosquito net make this hammock an amazing value in my opinion. After camping in a tent and sleeping on the ground for years, I finally broke down and bought a hammock. Turns out it was the best decision I ever made. 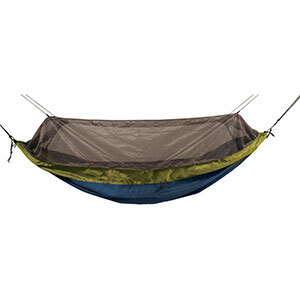 I have since slept in a couple different hammocks including the expensive, high end hammocks. I found this hammock at Walmart for $40 and decided to pick one up. After using it for a couple months, I went back and bought two more of them. This hammock is extremely comfortable to sleep in. It is considered a "double" wide which allows me to sleep diagonally in it. This helps support my back a little better. 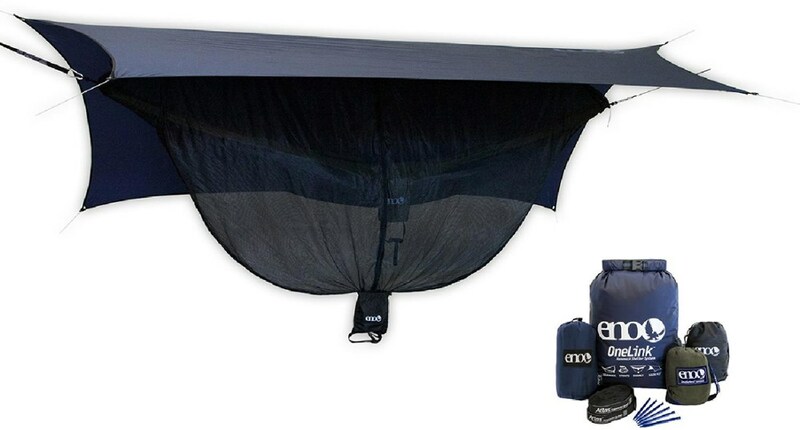 The mosquito net is permanently attached at both ends with zippers that run the length of the hammock. It includes two small folding poles that slip into loops on top to string the netting up so it is not in your face. It is pretty roomy inside with everything closed up so you don't feel like you are in a burrito. My biggest complaint about this hammock is the weight and size when it is in the stuff sack. It takes up quite a bit of room compared to other hammocks I've seen and it weighs about a pound or so compared to the ounces that others weigh. It comes with carabiners for hanging and a couple of short ropes. It would be better if there were tree straps included with it because some campgrounds don't allow ropes, only straps, to prevent damage to the trees. The other thing that could be a concern would be the material weight. 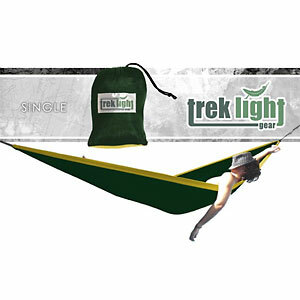 It is a heavier material than most hammocks so it tends to get pretty hot in the heat of the summer. I have added an under-quilt to my pack for winter camping for added insulation. 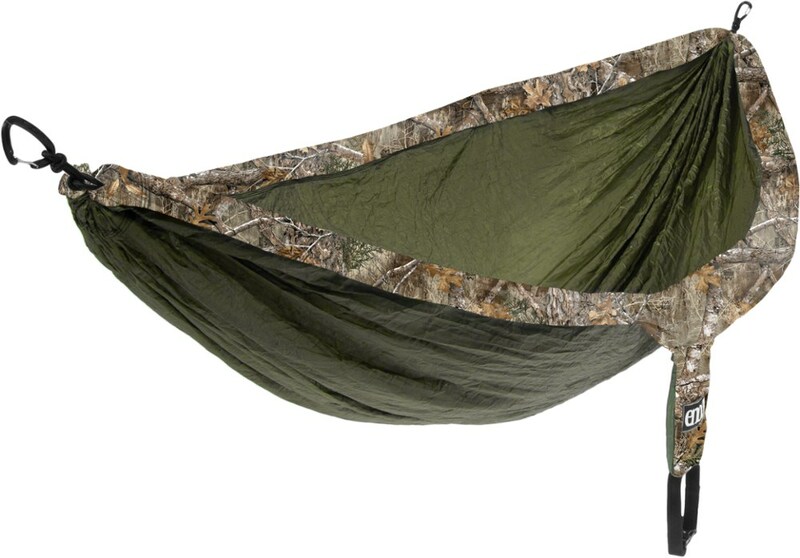 Overall, this hammock is well worth the $40. It has a 400 pound rating and I have actually had myself and my wife in it with no issues. Setup is very easy compared to some suspension systems I've used and the netting is an excellent refuge from insects. 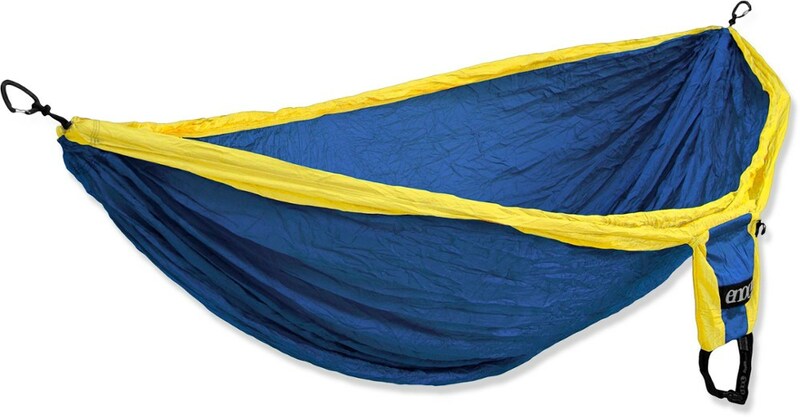 The hammock has a bag attached to the side for keeping your personal items in when in use and the whole thing rolls up and stuffs into the bag when you are done with it. It is perfect for camping out of a car in a campground or for short hikes, but it would be a bit heavy and bulky for long backpacking trips. Nice review, Brian! It's always helpful to hear about economical gear that works out.